French Art Critique Sketch Notes #1 (Primary/Junior)- No Prep! 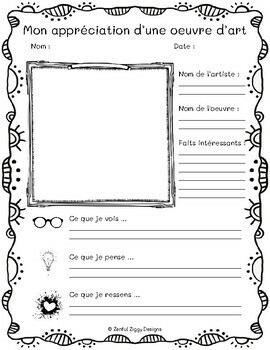 Perfect for French Immersion and FSL classes! This resource is written in French. Need an activity to encourage young students to respond critically to art? What about a creative task for early finishers, or a no-prep lesson for supply teachers? 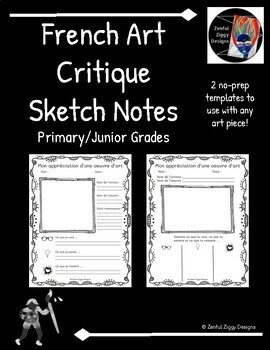 Try out these 2 unique art critique sketch notes templates! 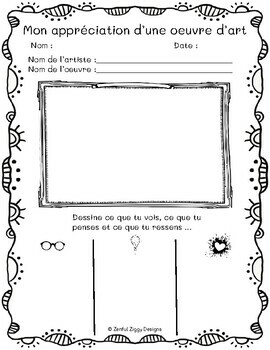 Introduce students to new artists and famous artwork using these sheets. 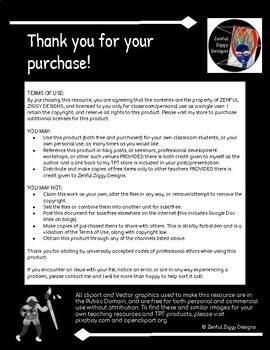 Provide handouts as a follow-up activity for a trip to a gallery or museum. Create a display featuring artwork from a specific artist, or art period/movement. Include these handouts as part of a sketchbook assignment . Use as a simple no-prep activity for early finishers or supply teachers!